Changes at AOL’s local content site, Patch: CEO Jon Brod will step down and is being replaced by COO and President Steve Kalin, according to an internal memo the New York Internet company sent to the division’s employees today. As part of the move, Brod will be going back to run AOL Ventures, in a job where he began at the company. In addition, sources said a little less than three percent of the 1,400-employee Patch staff will be laid off. The memo notes that downsizing, without giving the numbers, which includes consolidation of several parts of Patch by streamlining its regional structure from 20 to nine teams. Patch is growing, according to comScore. In April, traffic was up 26 percent since last year to 13 million unique monthly visitors, who are consuming about 1.3 million pieces of content that are now being served up per month. Still, Patch has attracted a level of investor pressure and criticism, even as AOL CEO Tim Armstrong has stuck strongly with the hyperlocal content effort and invested heavily in growing out a network of sites across the country aimed at neighborhood news and events. Apparently, Armstrong means what he says and says what he means. Since the day Jon, Warren, and I founded Patch, we have had one mission in mind — improve the lives of people in local communities by 25 percent. Patch has become an important brand in the hundreds of towns we serve, and it is a staple of our communities. With the average Patch just over two years old, we are well on the way toward our goal of improving peoples’ lives and building a sustainable business in the process. Over the past year, Patch has made an enormous impact in our communities. The coverage of the Boston Marathon bombings, the lifeline that Patch provided residents during the Sandy Hook school shootings and Superstorm Sandy, and the exclusive Sanford-Colbert Busch debate in South Carolina stand out as powerful examples. The new Patch platform that is rolling out now will only increase Patch’s ability to instantly improve communities. As we have made a commitment to improve our Patch towns and communities, we made a similar commitment to make Patch profitable in 2013 and a commitment to continue to improve our business model. Just as we have rolled out new products and services to Patch, we are announcing today the rollout of the recently tested town structures, which will help us serve communities in a more local way and move Patch meaningfully toward profitability. 2. Implement a structure that unlocks the path to profitability. We are combining the East, Central and West editorial zones to create a simpler structure that will enable faster decision-making and a more coordinated editorial effort across Patch. Anthony Duignan-Cabrera has been promoted to VP, Editorial Director, overseeing day-to-day editorial field operations, and will continue to report into Rachel in her role as Chief Content Officer. We are streamlining our regional editorial structure across the country by moving from 20 to nine teams. We are not reducing our number of sites or our coverage area as a result of this change. We are promoting Katie O’Connor to Director of Editorial Operations and Content Strategy. In this role, she will work with our editorial teams to help create new content and programming. We are implementing a “team approach” for our sites, based on the success of our field tests earlier this year. This approach allows for flexibility based on the unique needs of each community and the strengths of editors. Jon and I have decided to elevate Steve Kalin to the CEO position at Patch. Steve has done a fantastic job since he began at Patch in December as President and COO. Jon and I hired Steve with the thought that his extensive background in scaled, local platforms would eventually allow him to run Patch on a day-to-day basis. Jon has led Patch since it was just an idea and helped scale it into one of the most significant brands in local communities in the U.S. Under his guidance, Patch has gained tens of millions of users and more than ten thousand advertisers; and it has covered millions of local stories. Going forward, Jon will return to AOL Ventures full-time and lead our push into several areas we have identified as significant future growth opportunities for AOL. The changes we are making at Patch, however, come with the difficult decision to eliminate some positions. These employees have contributed greatly to Patch’s business with passion and dedication. We sincerely thank them for all they have done to make Patch what it is today. Their impact will always be felt here. We wish all affected employees continued success. They are truly Patchers for life. This is an important time for Patch. We have many great opportunities in front of us, and we continue to make decisions to ensure Patch’s success. AOL’s Board of Directors and I remain firmly supportive of Patch and our mission. Together we are building a company for the long term, one that can grow and thrive — now and far into the future. We will be having team calls today and a Patch All-Company call this afternoon at 6pm ET, to discuss these changes in more detail. I encourage you to join these calls. Keep an eye out for invitations to follow. I want to thank you for your continued commitment to Patch and to serving your communities, and for staying focused on our goals. 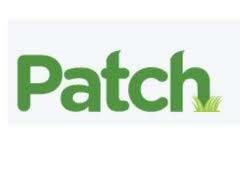 Patch is one of the fastest growing sites and brands on the Internet. We have the right plan, we have a great team, and I’m confident we can win together.